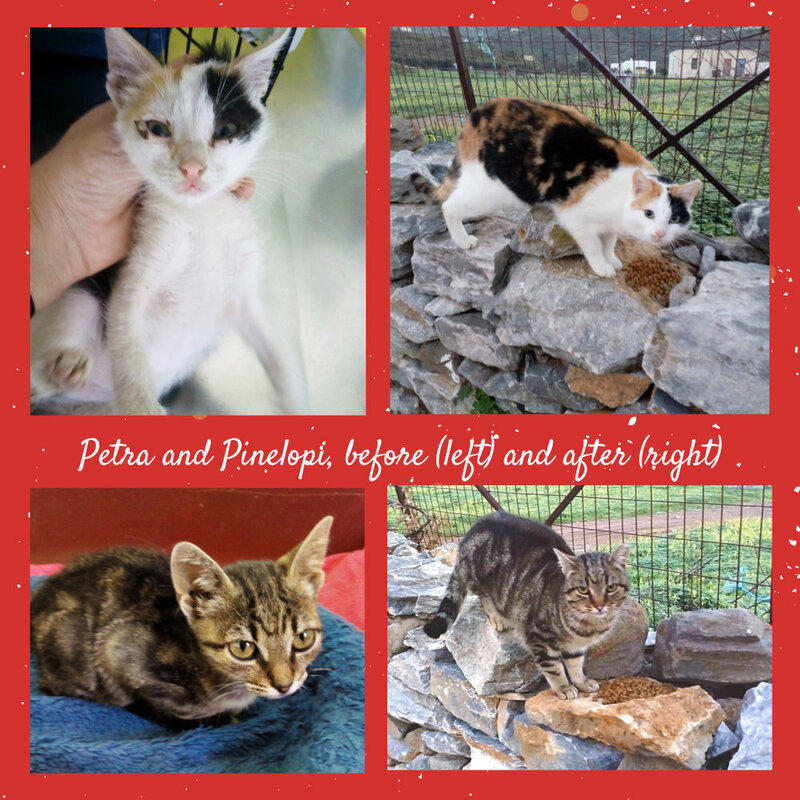 Support our sterilization program—HELP us make it happen! Our next sterilization project will take place in the beginning of November (9, 10 and 11) and the only way to manage it is your generous help. Any amount of money from animal-loving people out there is most welcome. In Amorgos there is no permanent veterinarian. Until there is a veterinarian on our island, we must either send them by ferry to the nearby island of Naxos, or arrange a visit from the vet, if need be. We then take care of them ourselves and release them back to their neighborhood once they are healthy again. For some who cannot live on their own, we do our best to find a forever home. Sometimes it happens quickly; other times it takes a while. Whatever the case, we make sure our cats are happy. 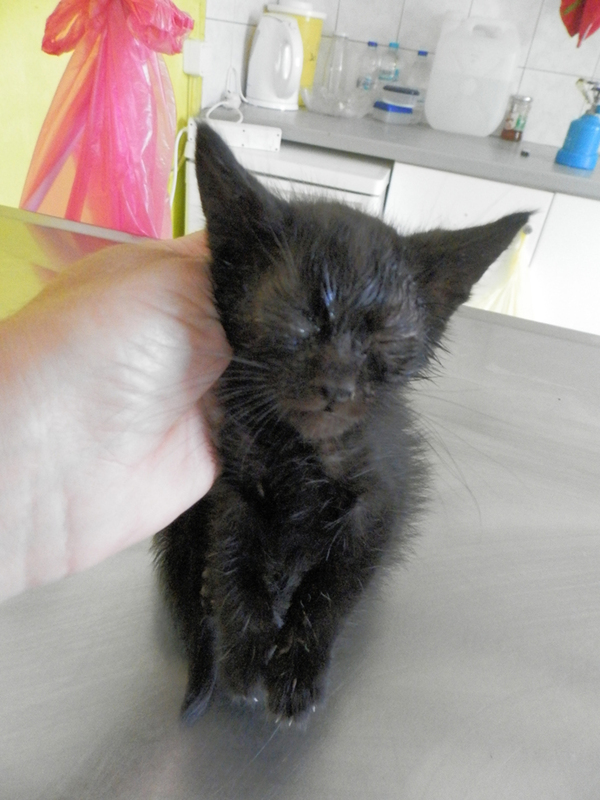 Twice a year we organize sterilization projects for the stray cats of Amorgos. We get help either from local or international volunteers while at the same time we try to find proper funding in order to pay everything necessary, as this is our biggest and most important project. 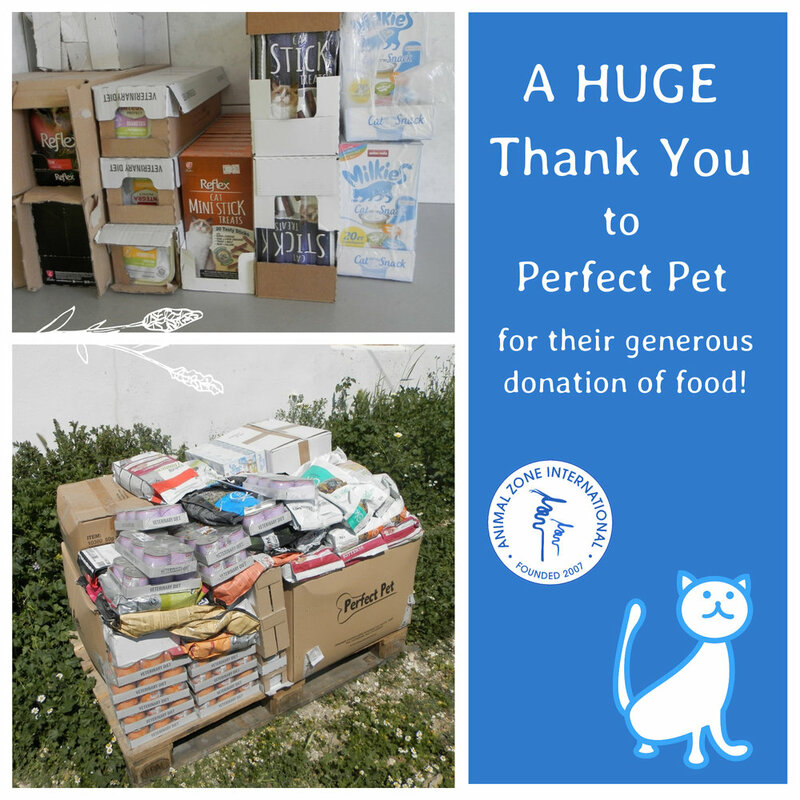 Even more so when one thinks of the numerous cats that live on the island and whose welfare depends solely on us and the few people who help us. 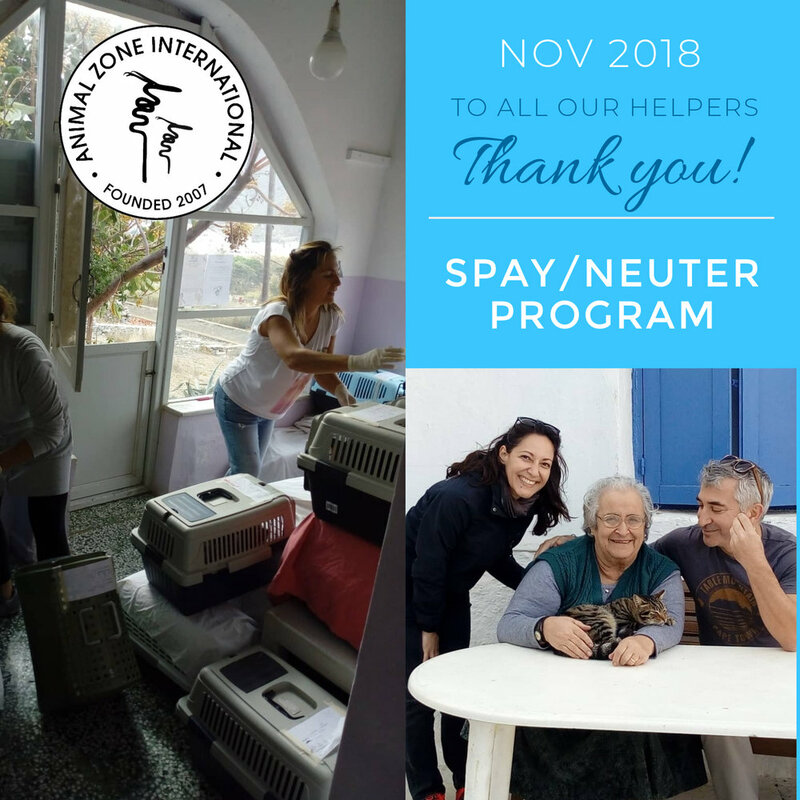 While there are still people who are against neutering cats (even though they do nothing to help feed them or provide health care for them), we have adopted the global animal welfare community's recognition of neutering as the only approved method of controlling the stray population. Moreover, when we have to watch animals getting run over by cars or searching for food in the garbage bins, when we must resuscitate them when they have been poisoned or burry them when it has been too late, we realize that we still have a long way to go. 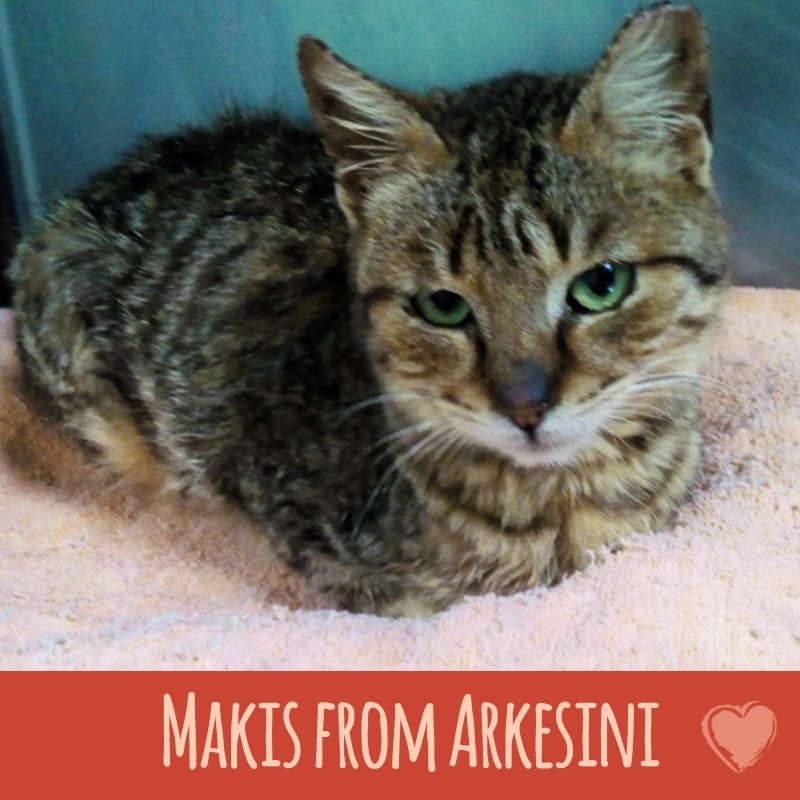 A young cat with a serious eye infection was brought to our Center by her owner after first attempting to treat the problem at home with eye drops. Seeing no improvement, her owner realized that more intervention was needed and it turned out that a grass awn was embedded in the eye. We managed to remove the awn and after treatment with antibiotic eye drops the cat is once again healthy and happy. 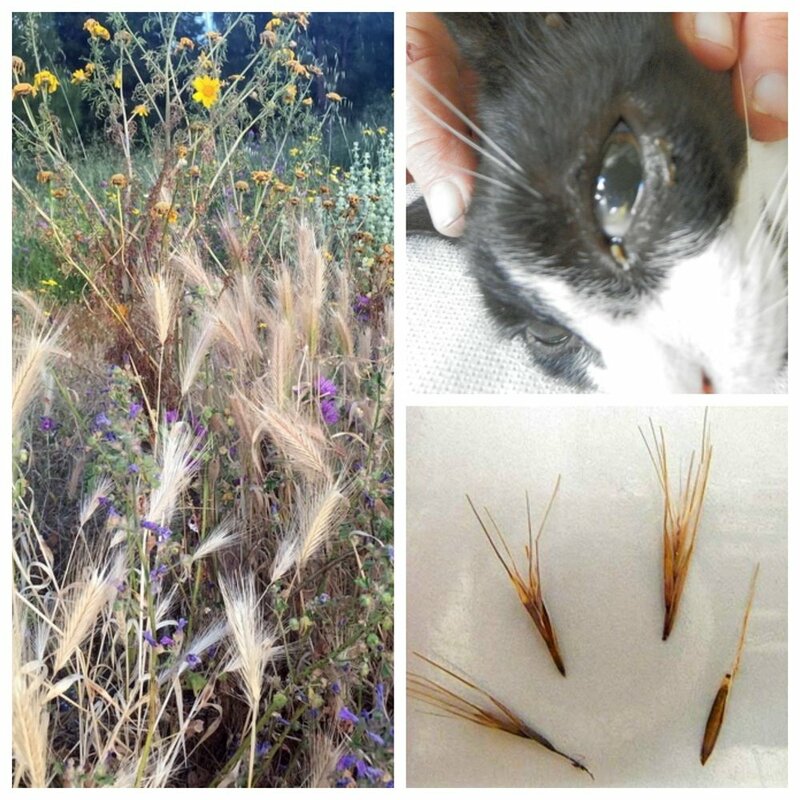 Grass awn can be very dangerous for animals since it can embed in the eyes, the ear, the nose and even between the tender pads of the paws. During spring and summer this is especially dangerous for dogs and cats and, so, if you notice an infection or even an irritation it would be wise to bring your animal to the vet so that the grass awn can be removed. 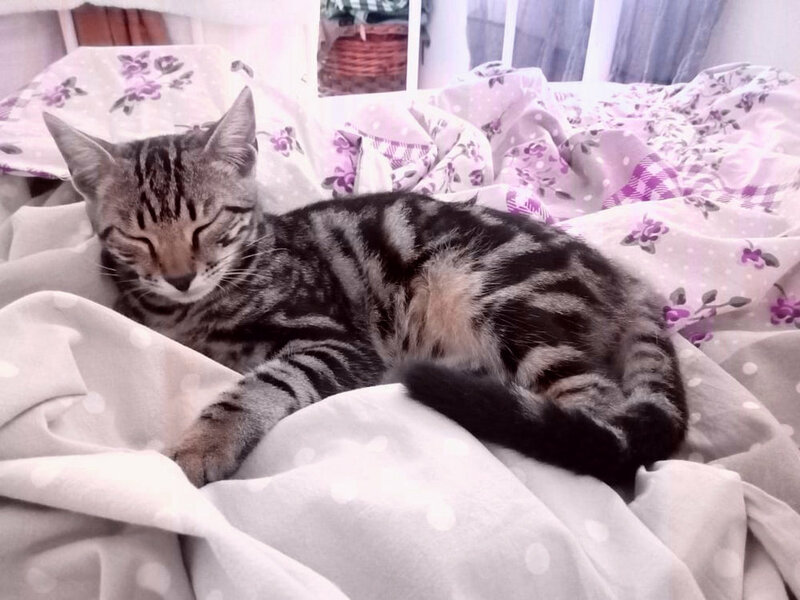 We thank this young cat’s owner for being vigilant and we hope to spread the word about this danger.